Thousands of people joined protests across central London as climate change activists blocked roads and vandalised Shell’s headquarters. 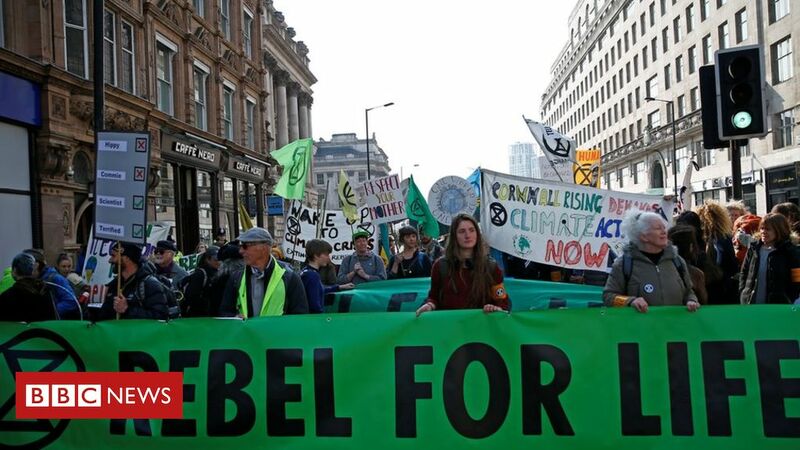 Extinction Rebellion campaigners parked a pink boat at Oxford Circus and blocked Marble Arch, Piccadilly Circus and roads around Parliament Square. Five people have been arrested on suspicion of criminal damage after a glass door at Shell’s HQ was smashed. The three men and two women were taken to a police station in central London after the incident at the offices near Waterloo. Later, police ordered the protesters to restrict their actions to the Marble Arch area to prevent further disruption. Officers remain at the scene and have advised people travelling into London to allow extra journey time.